1 32oz. package Farmer John Classic Premium Bacon, diced into 1/2 inch chunks, and cooked according to package directions. 2 8 oz. packages Farmer John Classic Pork Sausage Links, diced into 1/2 inch chunks, and cooked according to package directions. Add butternut squash, 2 tablespoons of olive oil, the seasoning blend, toss and then roast for about 30-35 minutes. 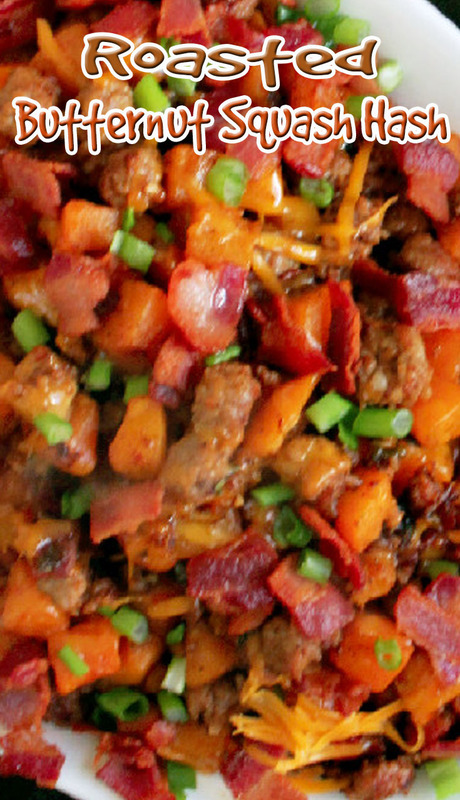 In a medium skillet, add bacon and cook until bacon is crispy. Remove bacon from the pan and place on a paper napkin to drain. Add sausage to bacon grease and cook for about 5 minutes, turning occasionally or until browned. Remove sausage from pan and drain on a paper napkin. Remove half of the grease from the pan. Add vegetables and cook for about 5 minutes. Add the roasted butternut squash to the pan, half of the cooked Farmer John Classic Premium Bacon and half of the cooked Farmer John Classic Pork Sausage Links. Place cooked food back in the roasting pan, top with cheese and broil for about two minutes. Remove from oven and garnish with remaining Farmer John Classic Pork Sausage Links, Farmer John Classic Premium Bacon, and green onions.